The manufacturer has based the AntMiner S3 441Gh/s @ 0.77W/Gh 28nm SHA-256 ASIC Miner on 28nm silicon. The product claims to deliver 478GH/s and consumes 366W electricity power. That alone makes it more power efficient. The manufacturer has also priced the product at 0.75 BTC. And because the AntMiner S3 churns out 478GH/s and consumes only 366W, its power efficiency stands at 0.77J/GH. It uses a standardised ATX PSU which you will have to buy separately. 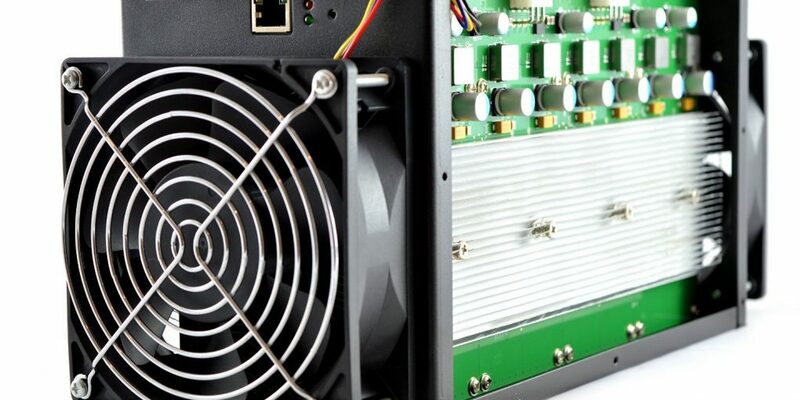 Due to the lower overall power consumption, Bitcoin miners can go for the more affordable mainstream power supply units (PSUs) in the market, even though the power supplies with better efficiency rating are advisable. The product measures 331mmx137mmx160mm and it features two 140mm server fans at the back and front for cooling purposes. The AntMiner S3 is a third generation Bitcoin Miner from Bitmain based on BM1382 ASIC. The BM1382 offers 20% power saving. That is better than that expected with the old 55nm chips the company produced. The product does not require a proxy server. The producer has worked hard to reduce its noise levels and to ensure that it produces lesser heat. With the customised heat sinks on the hash boards, the fans do not run fast to maintain lower temperature. Due to the product’s low price, the limited requirements and compatibility with the general use PSUs, the product should appeal to individual miners and smaller mining outfits. The manufacturer has entirely closed the AntMiner S3 441Gh/s @ 0.77W/Gh 28nm SHA-256 ASIC Miner in a strong durable shroud. Its internal frame is minimum but properly designed. Its two fans feature grills that complete the machine, which is probably the most pet and child friendly miner in the market. The S3’s are stackable if placed on the side mainly because of the needed access to the PCl-E cables. The product weighs 6Kg and measures 331mmx137mmx160mm. What’s more, the product has self-sufficient cooling system that uses optimum negative pressure tunnel layout. The two 120mm JSL JDH1238B fans operate at ~ 1500-2500 rotations per minute (rpm), almost silently and maintaining the chip’s temperatures 20C above the ambient temperature. The two react to temperature increases efficiently and are software controlled. The AntMiner S3 has curved full aluminium heat sinks for cooling the backs and small straight finned heat sinks for cooling the fronts. The manufacturer has used compressive springs to attach the heat sinks and to avoid any potential damages to the chips. It is also worth noting that the product has careful and excellent thermal placement on all chips, something that is not common in most competitor products. You should, however, remain careful when handling the heat sinks because they are extremely sharp. The manufacturer does not supply the Antminer S3 441Gh/s with power supply units (PSU). Therefore, you will require a computer PSU that features 4xPCl-e 6 pin power connectors. The machine requires only 2 PCl-e connectors to function at stock speeds. However, the miner uses all the four to reduce cable temperatures. The Bitcoin miner will also remain on throughout because it does not have a motherboard to allow automatic switch off. You can cut a paperclip into U and then insert it into the power supply’s green wire or the black wire beside the green wire. Tape the paperclip for your safety reasons. That way, you will be able to control the power supply using the switch. To start using the AntMiner S3 441Gh/s @ 0.77W/Gh 28nm SHA-256 ASIC Miner, you have to prepare your network. The router’s IP address should look something like 192.168.1X. The X may be any number but the other numbers have to remain constant for the miner to communicate with the router. You can check your router’s IP by running the IPconfig into your device’s cmd console. If the need to change the router’s IP arises, you can log into the router and alter the LAN IP. Grab your AntMiner S3 441Gh/s @ 0.77W/Gh 28nm SHA-256 ASIC Miner and the power supply unit (PSU). Plug your PSU into 4 or 2 of the Bitcoin miner’s 6 pin PCl-e slots. Ensure that the miner is properly connected to the Internet. If everything is properly set, you should now configure the miner. Enter the Bitcoin miner’s IP into your computer browser. After that, you should have a login screen; the password and the username are the root. You can alter the pool settings and the IP address after you are logged in. If the pool requires you to set up a difficulty level, set something around 512. In some pools you will manage to set up the minimum value. After the setup, you can still customise the product to match your needs perfectly. The AntiMiner S3 can deliver 478GH/sec while consuming only 366W. That makes energy efficiency one of its selling points. The product is priced at 0.75 BTC. And because it churns out 478GH/sec and consumes 366 watts, its power efficiency stands at 0.77J/GH. It uses standard ATX PSU, which you will have to purchase separately. You can set up the S3 independently after Bitcoin mining – it does not depend on any other server. With the customised heat sink and larger cooling surface area, you can lower the speed of both fans to achieve constant cooling effect and reduce the noise significantly. The product is stable. Whether you will be running it throughout or for a few hours, possibilities of a downtime are minimal. Sample detected hardware error (HW) probability is 0.03% or the world’s bitcoin mining machine hardware error lowest probability. The machine has higher power efficiency and therefore you should expect lower fixed investment spending and lower electricity bill. It has an Ethernet network port to allow network connection. The machine is all you need to start Bitcoin mining today.